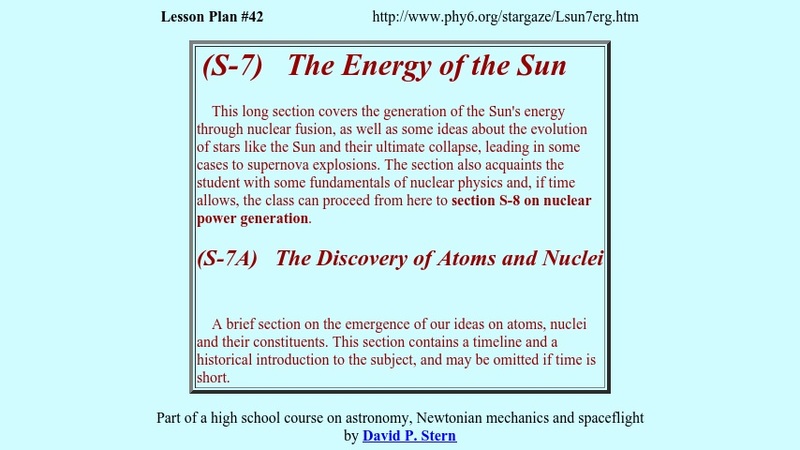 As part of this lesson plan, students will learn about how energy is produced and dissipated by stars, including our own Sun. In addition, materials presented here explain the formation, evolution,and eventual "death" of stars in supernova explosions, and some fundamentals of nuclear physics. Definitions of terms and questions for the class are included.